Free Remote support is available via Team Viewer. Emerald engine management system is an aftermarket standalone ECU that is capable of handling full 3D mapping of both ignition and injection on most normally aspirated and turbo engines – from classics through to the latest engine designs. Our "2D vs 3D" article in Knowledge Zone will give you more detailed info about 3D mapping. Pre-configured version of our K6 ECU takes the hard work out of the initial ECU configuration process - as we do it for you! We build a bespoke ECU configuration for your K6 ECU based on the information that you provide us with via the order form below. During the same process we also select and install the most appropriate base map from our extensive library. The relevant part of our "Quick start guide" will still need to be adhered to come your engines first start up, and minor adjustments to the base map may still be required, but for the majority of customers a troublefree startup should ensue. Of course, full mapping on a Rolling Road is then highly recommended. A User Manual, dedicated "ECU Configuration guide" and "Quick start guide" are all supplied in pdf form along with our latest PC software. 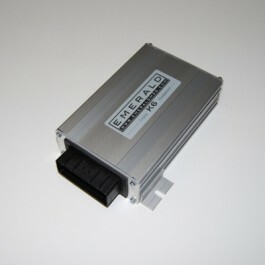 See our K6 ECU info & specifications for more info. Work is always ongoing to add more features and functionality to cater for the ever-growing diversity of engines and customer requirements. So please check back from time to time. Please ensure ALL fields of the ECU Order & Specification form are completed. Pre-Configured K6 ECUs may take upto 10 working days to ship but usually shipped faster.